Entwined thoughts - ready to be straightened out ! : Picture worth your words contest! The results for the 'Picture worth your words contest' is out! I would like to 'Thank' Aisha for being a great host! She had given excellent Picture Prompts to stir our creativity and instigate our thoughts. Personally, the poem i wrote, reflected my belief. It also helped me gain clarity on 'what' i would like to pursue in my life! It is only when others told me that i had brought a positive message out of gory image, did i realize that. I would definitely hold this experience as a stimulant to fuel my instincts. Congratulations to all the contestants who made the contest interesting and invigorating :) I loved each and every entry to the contest. I am sure, like me, everyone would have had a personal moment of reflection. 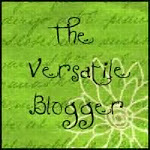 Thanks to my blog readers who are a constant source of support and encouragement!